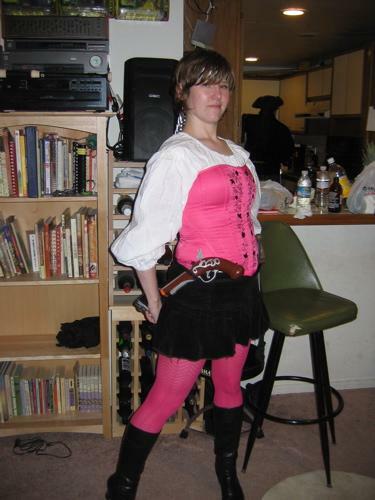 Pirate Party – So Much Yar! The Pyrockers were in town over the weekend, staying with Baby Bro. In their honor, Baby Bro and his roommates threw a Pirate Party on Friday. I love a good costume party. My friends love a good costume party. We also all love pirates. And The Pyrockers played in the living room. Yar! So many booty jokes, so little time! Well well well Shiver me Timbers. Thank you love for the pic’s and the kind words. We all hope everyone had an awesome time as we know everyone was SWASHBUCKLING around ARGH!! !